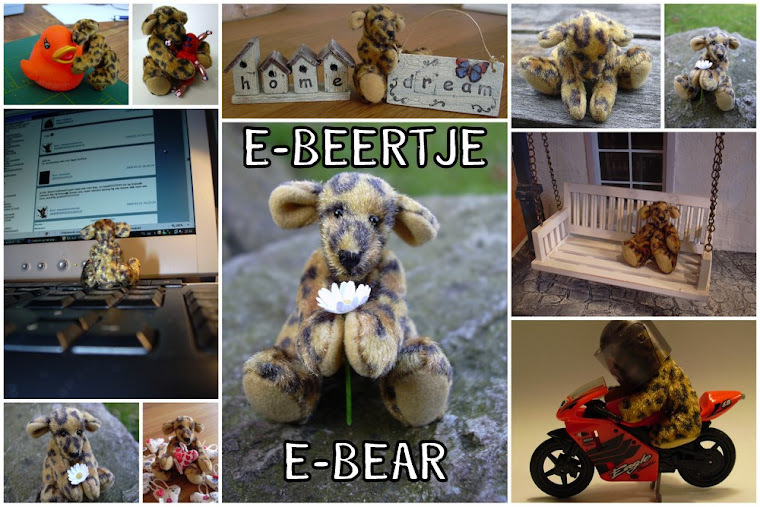 Today I made a dressing table for E-beertje. Next to the large chest of drawers there will be a door that will "lead" to the attic. And I want to make a comfy armchair! So..the door is finished and in his place! OMG, what a pigheaded bear it is!!! He's very happy with his furniture, but.......he didn't like how they were placed in his bedroom! Me encanta la habitacion y la disposicion de los muebles, seguro que esta muy feliz.